Torrance, Calif. – April 5, 2019 –XSEED Games, the independent-minded publishing brand of Marvelous USA, Inc., today announced that the publisher will be bringing the frantic pinball and playful fun of SENRAN KAGURA Peach Ball, the latest entry in the genre-spanningSENRAN KAGURA franchise, to North America for the Nintendo Switch™ system this summer. The title will be available digitally in the Nintendo eShop for Nintendo Switch and with a limited physical release available for pre-order at XSEED Games’ online store and other select retailers, both priced at $39.99. Clothes-shredding brawlers, rhythmic cooking contests, sunny water gun fights, massage therapy – what’s left for the shinobi students ofSENRAN KAGURA to try? Well, there’s always pinball! However, Haruka’s “experiments,” conveniently located in the local arcade, have once again caused havoc for the girls. This time, her concoction has mentally turned some of her fellow shinobi into animals. The only way to reverse the effects is by using the mystical Peach Ball, which just so happens to fit perfectly in a pinball machine. Plunge into this new adventure and flip, bump, spin, or ricochet the Peach Ball into the confused shinobi to return them to their normal selves. 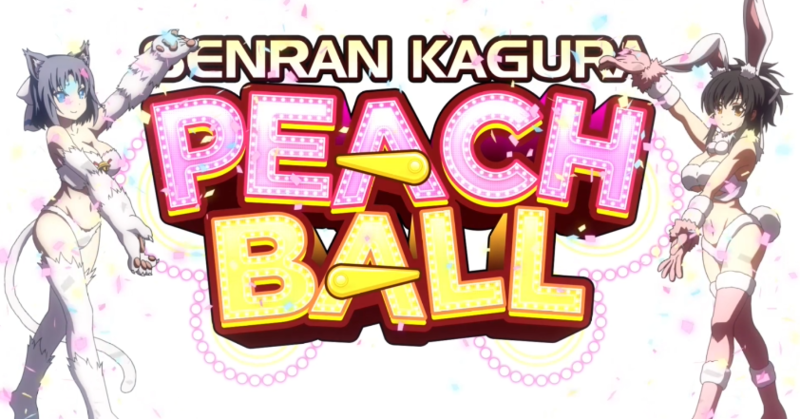 With customizable tables, special minigames, a story mode, and fan-favorite additional modes including diorama mode and the Dressing Room, SENRAN KAGURA Peach Ballis set to be one of the hottest pinball games yet.